OPINION: Parts the Arctic are becoming connected to top-notch broadband links. These links stand to particularly benefit the region's indigenous groups. The city of Utqiagvik, Alaska (pictured here in October 2016, when it was named Barrow) is among several Arctic communities that now enjoys faster broadband connections. 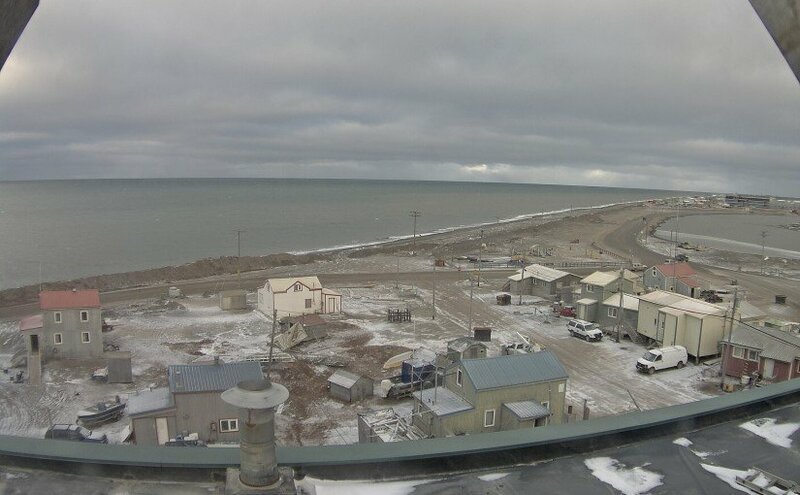 The 4,000 residents of Utqiagvik, the northernmost city in the United States, was recently plugged into some of the fastest internet in the world purely because of the city’s location along a new subsea cable between Europe and Asia. Imagine you live in a remote community that has had access to internet that is spotty, at best. What do you do with this new resource? Can you use it for employment? Development? Education? Where would you go to find out the answers to these questions? The Finnish presidency of the Arctic Council has already identified expanding high speed internet as a priority. Indigenous organizations, especially the six groups with permanent participant status at the Arctic Council, can try to ensure that all Arctic communities benefit from this internet expansion through two key actions: collecting and sharing internet uses, and using the internet to connect more with their people. These efforts will enable newly connected communities to utilize the internet for their social and economic benefit. First, these organizations should collect best practices to speed the productive use of the internet when it arrives. There are a variety of innovative uses from Arctic communities that have already been connected, including harnessing the cold temperatures in the environment to host data farms, creating innovation clusters in remote regions, and digital work. Having a ready-made resource that has collected the lessons learned from the wider Arctic community will allow villages and towns to take immediate advantage of their new resource when they connect to the world. Second and more importantly, indigenous organizations can use the internet to better communicate with their constituencies. This has always been challenging due to the vast distances involved and the diverse nature of their people. Embracing this new form of communication will allow more effective and responsive representation on the world stage. Whether that looks like webpages built in native languages (beyond the documentaries currently led by the Arctic Council), 311 apps that allow the real-time tracking of problems or concerns from citizens, or utilizing Twitter to cross national boundaries, the organizations can use increased connectivity to stay close with their constituencies and harness the voice of their people. There are many organizations that have highlighted the importance of the internet in the modern age. The challenge beyond gaining internet access is using this newfound resource to its fullest. Indigenous organizations have a visible place in both national and international deliberations. They have the platform, the power, and the duty to embrace this technology and advocate for its employment, prepare for its use, and harness its promise. Vincent Lowney is a graduate student at the Harvard Kennedy School. Prior to his studies, he served as a Marine and fell in love with the Arctic during cold weather survival exercises in northern Norway.